I remember when our son was born; how excited I was that first Sunday to take him to church. I couldn’t wait to put him in his little outfit, snuggle him into the baby carrier, and wear him while I worshiped with the community that had supported us throughout our adoption journey. Shortly after that, though, he started to attend the nursery, and then “kids church.” We would drop him off, attend “big church,” and then pick him up on our way out to the car. That is the standard procedure at megachurches; families are divided up by age up until college, and worship separately. Six and half years later, we are in a much different place. We have spent the past six weeks attending a small church – a family church – where we attend Sunday School, separated by age, but then we worship together as a family. I love it. Oh, I haven’t loved every moment of transitioning our son from fun, games, crafts, songs, and snacks to “big church,” but I have loved the conversations afterwards, the snuggles during the services, and hearing his sweet voice praise God during song. 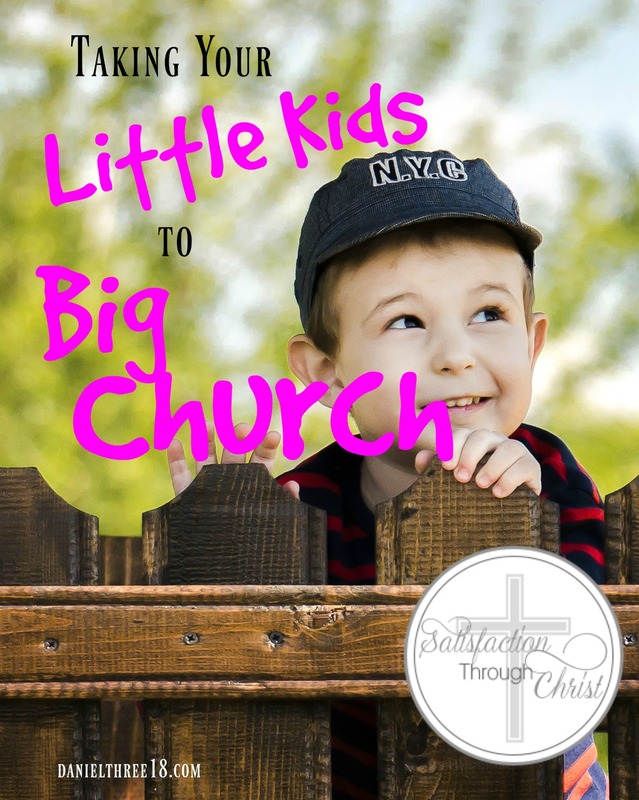 Here are some tips I have gleaned about taking your little kid to big church, in case you find yourself in a similar position! No one is watching you and your family; they are paying attention to themselves. The first two weeks, I was afraid everyone was staring at my wiggly kid, and I was very self-conscious. After that, I realized no one is paying attention to us; they are paying attention to the pastor, and their own wiggly kids. Family churches, by default, welcome children into their midst, and know how they behave (or not, some days). Listening to a sermon is a skill. No one “just knows” how to listen to a sermon. We have lost the capacity, as a society, to listen to anything longer than a segment of a television show. It takes discipline and focus to listen to a 30 or 40 minute sermon. Children must be taught how to do this. 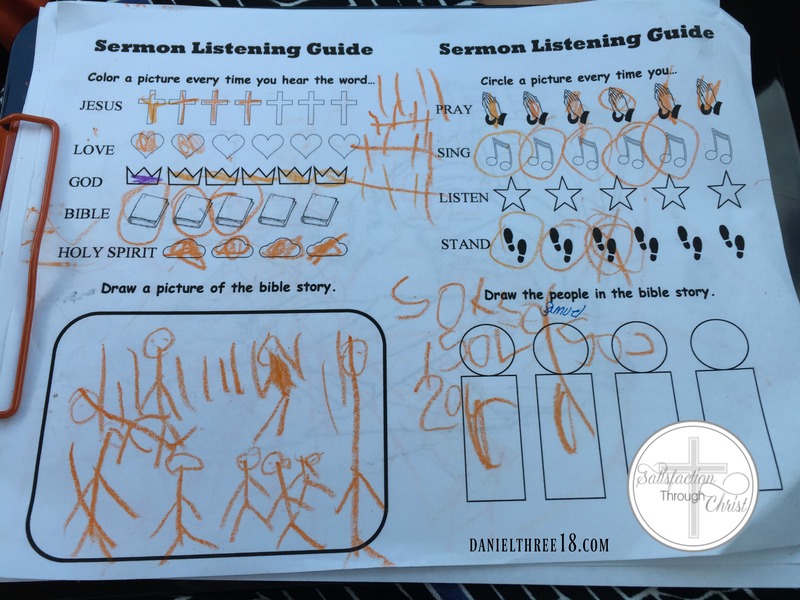 I searched high and low on Pinterest and found a printable that allows our son to “take notes” during the sermon (my brother-in-law calls it “church bingo”). It’s a starting point to taking his own notes some day. It’s okay to bring quiet activities. I went to seminary. With a bunch of men. Who were or are now fathers. The men teaching and preaching in family churches understand little ones. It’s okay to have a small sticker book, some crayons, a coloring book, or a children’s Bible for your child to look at during the service. I have seen great little felt busy books for younger kids, and I wish I had let my child fall asleep on my lap during church when he was little. Through trial and error, we have learned that the note taking pages, a clipboard, a pen, and some crayons are perfect for us. That will change in a few weeks, I am sure, but for now, it’s working. We are in the process of changing churches. Because he is six (and a half! ), our son is old enough to be aware of what is happening, and he understands some of the reasoning behind our decisions. We ask him what he has enjoyed at the churches we have visited, and what he hasn’t particularly liked. I didn’t realize how ingrained the megachurch mentality was in him until he asked where the “worship center” was one day. So we have a lot of work to do! Explaining to him how the churches we are visiting are different than what he is used to, in words he can process, has gone a long way in making this transition smoother for everyone. Enjoy it…even when it’s tough. I have relished every single service with my son sitting next to me. I love that he is watching his daddy worship – sing, pray, read his Bible, listen to the pastor, take notes. I love that he is snuggling up next to me and following along in my Bible, watching my notes, and asking me questions. It’s true that there have been tough moments, where I have missed something the pastor said because I was tending to my son at that instant, and I was…annoyed. 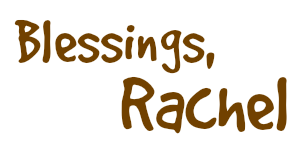 But in the long run…the value of worshiping together as a family far outweighs any annoyance I might briefly experience while finding the orange crayon or opening his water bottle. I think for many people, this is probably not a groundbreaking set of ideas. But having grown up in and attending a megachurch my entire life, moving to a more family-oriented style of worship has been a change for us. We love it, like I said, but I wish someone had given me these hints six weeks ago ;). If you have any hints of your own, please share them in the comments for everyone to read! Ah, the challenge. Good thing my brother when he was little was very well behaved inside the church.